When a patient seeks medical help, they and their family trust that healthcare providers will properly diagnose ailments and perform necessary treatments. Unfortunately, doctors and medical providers do make mistakes. 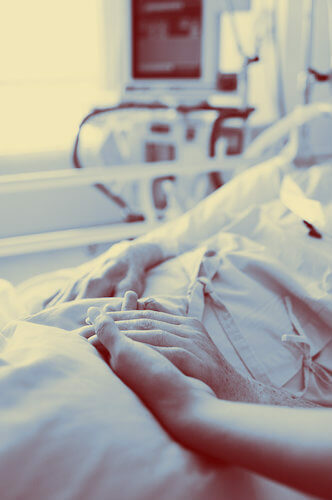 When these mistakes have damaging consequences, they become medical negligence, and a Houston misdiagnosis attorney can help you make a claim for mismanagement. A misdiagnosis starts with making an incorrect determination of illness. This failure to diagnose occurs when a healthcare worker does not make a correct medical assessment during a patient’s care. Failure to properly diagnose prevents doctors, physicians, surgeons, and nurses from providing the appropriate treatment. Time delays caused by misdiagnosis can have serious consequences for a patient’s health; and, in many cases, will delay or prevent the correct diagnosis of illness, making a full recovery impossible. Cancer can also be misdiagnosed, including breast cancer, lung cancer, testicular cancer, prostate cancer, and cervical cancer. If you or a loved one has suffered as a result of misdiagnosis, you may be entitled to compensation for the harms caused. Contact the Houston misdiagnosis attorney team at Richard J. Plezia & Associates. Mismanagement of health conditions can take many forms in a medical malpractice case. Malpractice is not just limited to physicians. It extends to any medical provider that works with the patient. These providers include nurses, medical technicians, physician assistants, pharmacists, and medical facility managers. Childbirth Injuries, including negligent prenatal care and negligence during delivery. Medication Errors, including incorrect dosage, administration, or drug reactions that damage the patient’s body. Surgical Errors, including puncturing internal organs, poorly prepared surgical instruments, operating on the wrong body part, and post-operative mistakes that lead to infection. The Houston misdiagnosis attorney team at Richard J. Plezia & Associates have represented patients injured at the hands of medical care providers in Houston and across Texas. We work for a full recovery, physically and financially, for you and your family.